I just spent the most amazing week at my first ever NAME (National Association of Miniature Enthusiasts) Convention in St. Louis, MO. I am exhausted, but so glad I participated. The theme was "Rollin' on the River" and the gifts were amazing!! I got this little beauty at a lunch seminar all about 3D printing. Although I had been sort of thinking of getting a 3D printer some time (or a laser cutter, they look fun, too!) I pretty much ruled out a 3D printer any time in the next 10 years. Wow. You need to be way too "techie" to own one! Still, the things they can do are pretty amazing. This little gem was made entirely on a 3D printer (except the pictures) and then painted. The whole thing is about 2.25" square. WOW!! Although the entrance fee seemed high to me, I discovered why after attending. You get so many amazing gifts at every event! This picture is all the goodies that I got just in my tote bag for attending. Yowza! I took several classes and they were pretty interesting as well. I learned how to make "wrought iron" out of quilling paper. I can't wait to use some of these techniques in my townhouse! 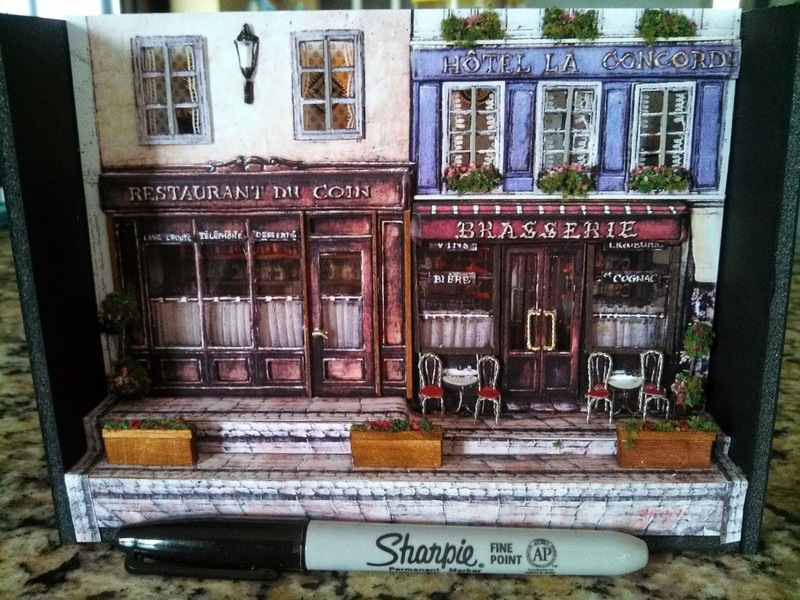 I also took a class from Ginger Landon-Siegal and made this adorable little Paris street scene. The whole thing is about 7" long. 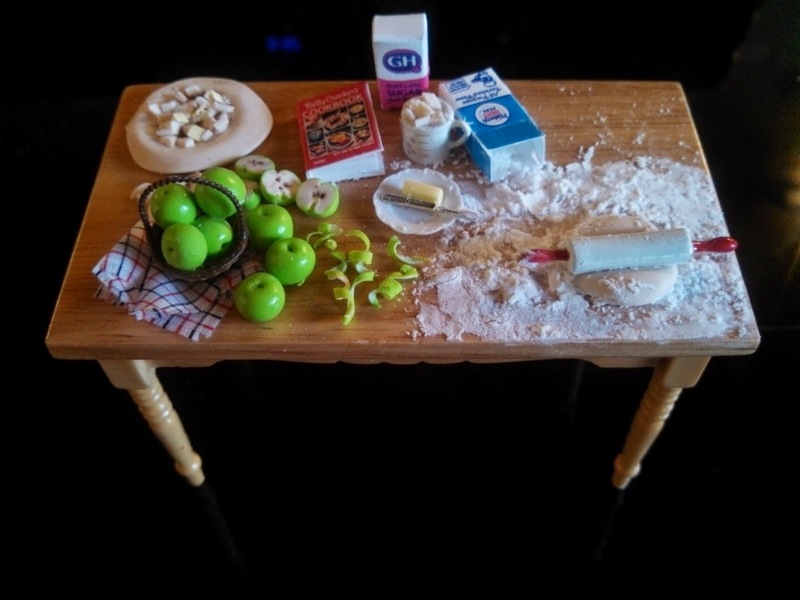 On Friday I made this little table of "apple pie in the making". I still haven't figured out what will be going in that one corner, but I loved how it turned out anyway! Saturday night was the banquet with a lot of the folks dressing up in costumes. It was great for people watching. I completely fell in love with the tinier scales this last week and picked up several more kits. I want to finish my existing 1" scale projects and move on to exclusively 1/4" scale and the 1/144th scale. Of course I have three rather large 1" scale projects that I have to finish before I can move on. On the other hand, I am so freaking ADD when it comes to miniatures that who knows how that will turn out. Wow! 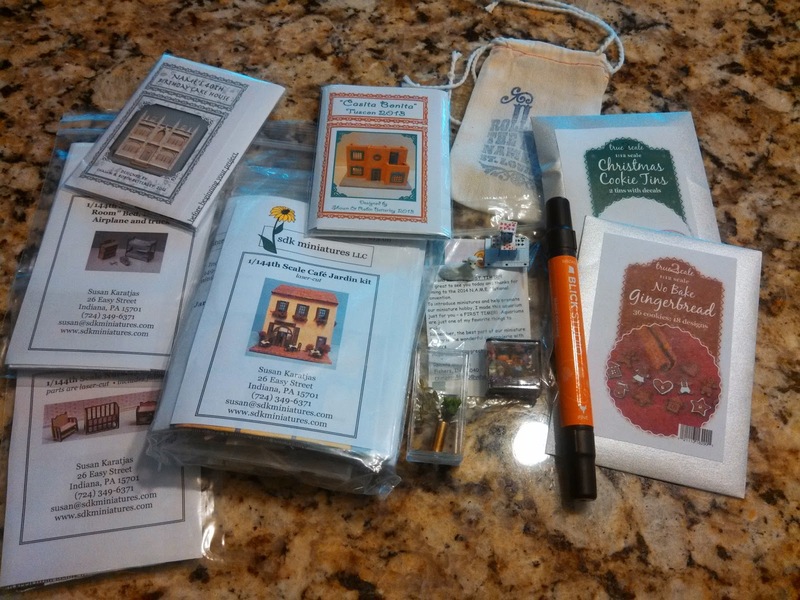 What an amazing hobby and wonderful time for you to get away and participate! Looks like it was a lot of fun and I can't wait to see all your projects! To cool! Wow! Sounds like you had an amazing time and learned so much. It must have been really nice to get away from it all too! I absolutely love your apple pie making table! It's so adorable. I can't wait to see what else you'll create with all the goodies you brought home! Great apple pie table! 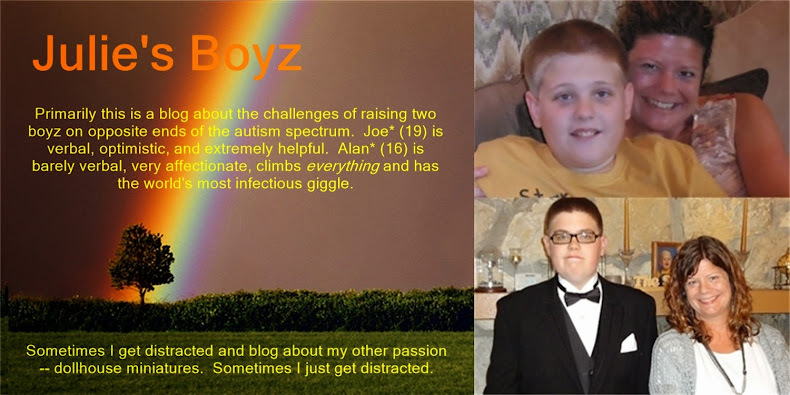 I think it's great that you got an escape from the world of autism, got to have some fun and engage in something creative and beautiful!